NEW BEDFORD, Mass. – Southcoast Health today announced that it has received the Healthgrades 2016 Distinguished Hospital Award for Clinical Excellence. The distinction makes Southcoast Health one of the top five percent of more than 4,500 hospitals nationwide in clinical performance as measured by Healthgrades, the leading online resource for healthcare consumers. Southcoast Health is one of only two hospitals in Southeastern Massachusetts and Rhode Island to place among the top five percent of hospitals in the nation with high quality care across at least 21 of 32 common inpatient conditions and procedures, as evaluated by Healthgrades. Implementing a fully-integrated electronic medical record system, Epic. Reducing Catheter Associated Urinary Tract Infections (CAUTI) on surgical floors and medical ICUs. Improving Venous Thromboembolism Prophylaxis in a timely manner. Achieving successful results on all stroke measures from the Centers for Medicare & Medicaid Services (CMS). Creating vaccination and tobacco cessation programs for inpatients. Developing of a pharmacy discharge liaison program in which prescriptions can be filled prior to a patient’s discharge. Reducing readmissions for chronic diseases, such as COPD, diabetes and heart failure. Improving the utilization of antibiotics to reduce the risk of side effects. Refining access and scheduling of preventive care that focuses on improving patient health. Improving management of sepsis and associated reductions in mortality through evidence-based protocols. Better assessing and managing patients who are at risk for falls. This past year, Southcoast Health was honored with 24 additional awards and recognitions from Healthgrades, including being named one of America’s 100 Best Hospitals for Cardiac Care for the fifth year in a row (2012-16). In all, it was recognized for superior cardiovascular services in seven areas of care, including receiving the Healthgrades Cardiac Care Excellence Award for the 10th year in a row (2007-16). 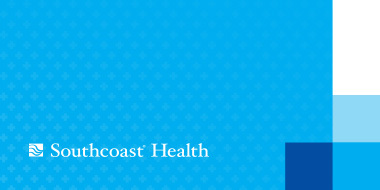 Southcoast Health also placed in the Top 5% in the Nation for Overall Pulmonary Services, Women’s Health and Patient Safety. 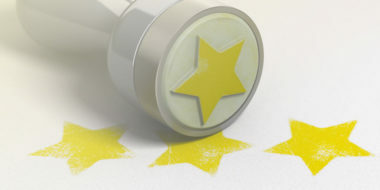 To learn more about how Healthgrades determines Distinguished Hospital Award for Clinical Excellence™ recipients, please visit www.healthgrades.com/quality.